Iranian gas refineries processed 214 billion cubic meters (bcm) of sweet gas during the last fiscal year, ended March 20, 2018, Gholamreza Bahmannia, director for coordination and supervision on production at the National Iranian Gas Company (NIGC), said. Bahmannia said that the volume of the processed gas indicates a 9.3 percent increase year-on-year, the NIGC reported. The official further said that the production of byproducts in Iranian refineries has increased as well with the launching of new phases of South Pars Gas Field in last year. Bahmannia said that the production of gas condensates in Iranian refineries registered an 11-percent increase during the 12-month period.The increase for sulphur production was 7.3 percent, meanwhile ethane production witnessed a growth by 23 percent year-on-year during the period. Bahmannia noted that the country has the capacity to increase the output of the aforementioned products in current fiscal year(to be ended March 2019). 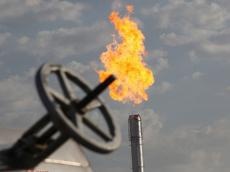 South Pars, the world’s largest gas field, in southern Iran is expected to see the inauguration of five new phases over the current fiscal year. The gas field experienced a major breakthrough over the last year as the country launched five phases in early fiscal 2017/18. South Pars, with 14 trillion cubic meters of reserves on the Iranian side, is jointly owned with Qatar. Iran divided its side of the field into 24 phases and the field's final output capacity is expected to be above 800 million cubic meters per day after launching all phases.